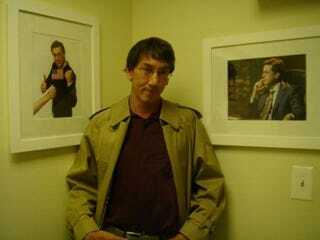 Will Wright gave an interview with Pocket Gamer during his trip to London. Although he was understandably not keen to talk specifics about his post-Spore plans he did profess a love for mobile gaming via his DS but didn't think that making mobile games (especially on mobile phones) more immersive was a good idea. Rather, he thought that there was fun to be had using the phones capabilities - such as the camera - to enhance and interact with the player's surroundings. "It could be about making you more aware of your surroundings than you would have been without the game, rather than focusing on the game and ignoring your surroundings." "I can imagine mobile platforms evolving in that way, in that they interact with the world around us in a way that changes our perceptions in a really interesting way," said Wright, "Games could increase our awareness of our immediate environment, rather than distract us from it."